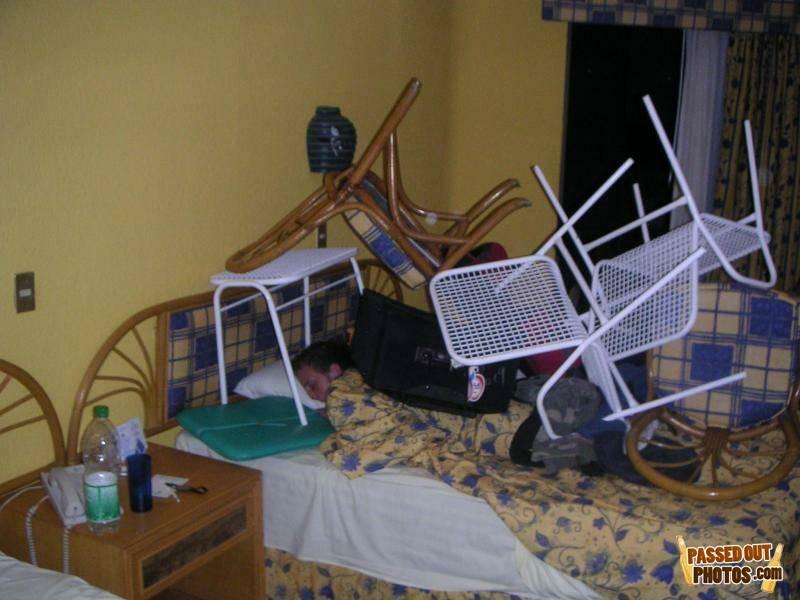 Funny pictures of passed out people getting pranked by their friends while unconscious. This is known by some as Drunk Shaming but we just like to call it funny. If you have ever been around friend while you are passed out drunk prepare to get your face written on with a sharpie or worse. Enjoy this collection we have put together of passed out people getting shamed. "Crazy thing is, last thing she said before I took a shower was she was putting that stuff on the bed so she could pass out on the floor. I came out of the shower to this." How many trips to the pool did that take? some pple have weird fetishes:O! exactly! OMG that is soooo awesome! Dude is not passed out but unconscious. Mom and Dad are gone and nobody cares, so I'm gonna live on a mountain of chairs! Cheap. And the furniture's pretty flimsy, too. Would You Like To Take A Seat? If the sleepy one moves...he be fukd!! Guy: So do you wanna come over to my place? Girl: Not really but thanks for the offer. ©2008-2019 Passed Out Photos. All rights reserved.